Nick Bell is a qualified horticulturalist who specialises in turf & lawn care. His other passion is growing his own food in Square Foot Gardens. This is a fantastic method of having a highly productive garden which only takes up a small area. SFG's are easier to maintain and use less water. 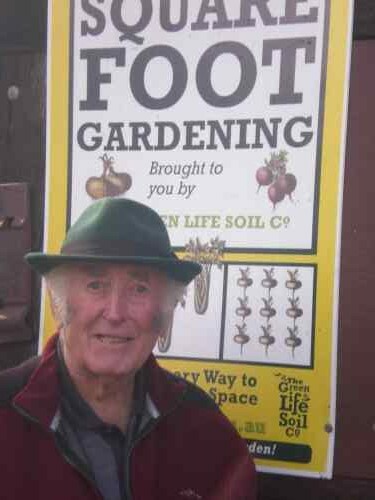 Nick is currently Australia's only qualified Square Foot Garden instructor, and is passionate about sharing the benefits of growing by this method. His written consultancy report & action plan starts from $125 - contact Nick for an individual quote. Nick is highly regarded throughout the industry and we are pleased to be able to recommend his services to you. Nick can be contacted directly for more information on 0413 940 259, or use the form below and we will forward him your details. Remember too - Green Life Soil Co can spread mulch and lawn top dress for you if necessary. Contact us for a quote. Summer in Perth can be a difficult time for your lawn; but before expensive and difficult lawn repairs are needed, conduct a simple test (explained here) to see whether it's as simple as insufficient water being delivered by your retic. Lawn can be a great asset to your home, giving you an area outside for entertaining, and a play area for kids and animals. The trick to being ‘green’ with having a lawn is to (a) not have too much – think about what you will use. If you’re not going to use it, then there will probably be a better option. And (b) selecting the correct grass for the job. Spring is a wonderful bounteous season when everything in the garden is eager to grow. Soil is becoming warmer, the nights are losing their chill, and the earth is bursting with energy. It is the time of the year to harness Mother Nature’s energy to help rejuvenate your lawn and prepare it for the approaching summer.